Hitting the road in the near future? There’s a good chance that you will forget something. 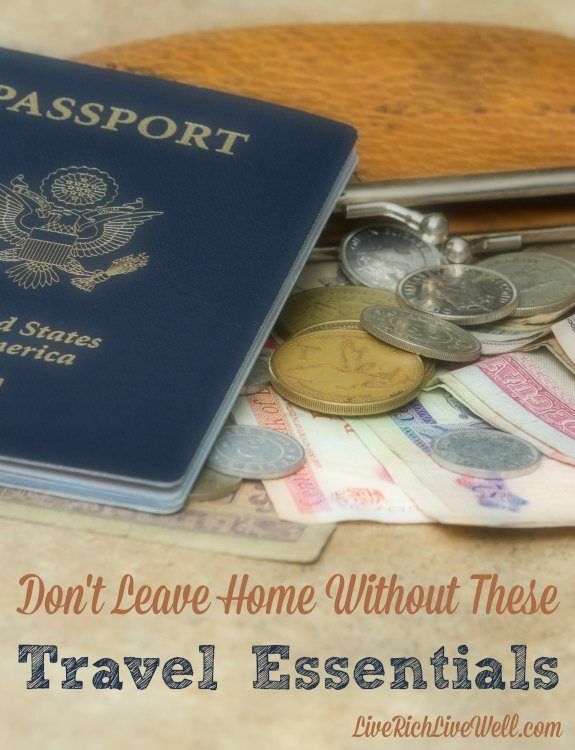 While it’s not always the end of the world if you forget something, there are some travel essentials that you want to make sure that you include in your travel bag. While you know you need your ID, passport, and boarding pass, there are a few other things that you don’t want to leave behind. Here are a few travel essentials that can make your life much easier while you’re away from home. Pack your own healthy snacks. Granola bars or protein bars can be great choices. You can also bring trail mix or dried fruit. Brining your own healthy snacks can ensure that you maintain an even keel, no matter what happens. Hunger can have a negative impact on your mood, and you never know what could go wrong when you travel. A little of your own food can help you weather most inconveniences. Slip a small, travel-sized First Aid kit in your carry-on so that you are prepared. You can also keep some items, like band-aids and small packets of wipes, in your purse or small bag. You can even keep a wipe and a band-aid in your wallet so that you are prepared. If you are concerned about germs, a small bottle of hand sanitizer is also a good idea. Don’t forget any medications that you need. Have extra pills, including allergy medications, pain relievers, and prescriptions, handy. Keep these small travel essentials handy so that you are always ready for minor issues. Yes, you probably have essential information in your smart phone. But what happens if your smart phone is lost or stolen? Write down important numbers, such as the credit card issuer of the cards you have brought, and the number to your countries embassy and/or consulate in the country you are in. You can also keep other important information, and maybe a little cash and a spare credit card, in this notebook. This notebook should be kept in a safe place, separate from your wallet and other items. Hopefully, anyone stealing your money or your smart phone will leave your backup notebook alone because it’s unassuming an looks unimportant. You can get mini packs of tissues. These are easy to fit into a pocket, purse, or laptop bag. A pack of tissues can provide you with what you need to blow your nose, wipe your hands, or even be used as toilet paper in a pinch. (Or you could also carry a travel-sized roll of toilet paper.) Tissues are versatile, and carrying a small pack around can be a smart move. Don’t forget a power source. There are a number of cool power hubs that you can use. Make sure you have the right adapters for the country you are going to as well. There are plenty of USB chargers, power bricks, and even solar-powered chargers that you can bring along. In the same vein, you can also consider rechargeable batteries, or an external batter add-on, to ensure that you always have the juice that you need. Sometimes you just need a little help with your comfort when you travel. This is especially true if you are concerned about a long flight, or worried about the state of your hotel room. Earplugs, night masks, and neck pillows can all help you feel more comfortable. You can also pack a small, thin blanket as well. Your blanket can keep you warm if you are slightly uncomfortable, or be used to block out light, or serve as a pillow in a pinch. With a little extra planning, you can enhance your trip with travel essentials that can help you get the most of your trip.